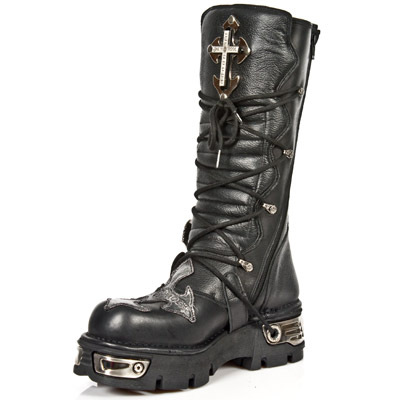 New Rock M.1034-S1. 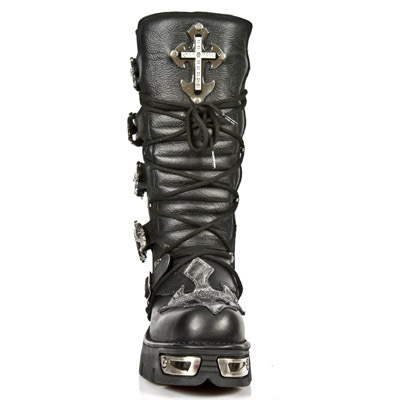 Boot (black leather) with a reactor sole with metal details, a silver cross on the toe cap, and a metal cross detail on the upper boot leg. 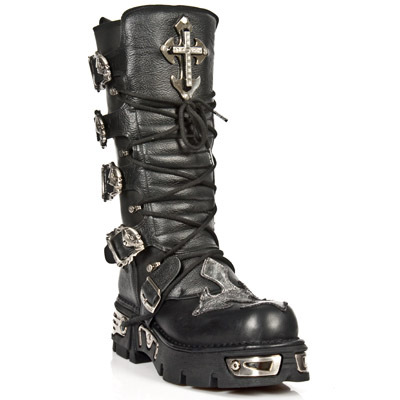 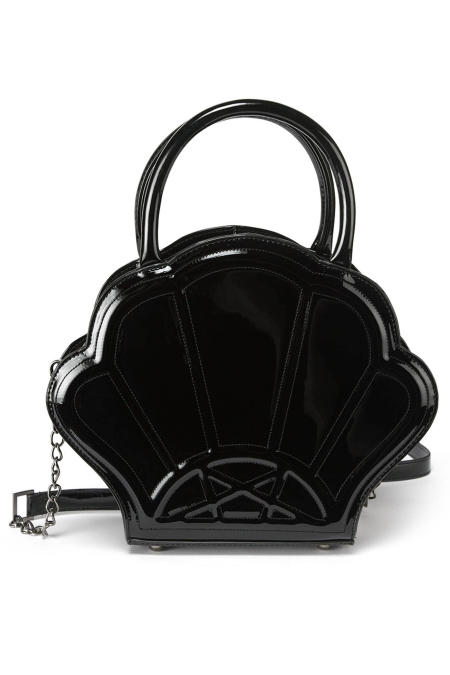 These have lace fastening, a zipper for easy on/off access, and adjustable straps with blazing skull buckles. 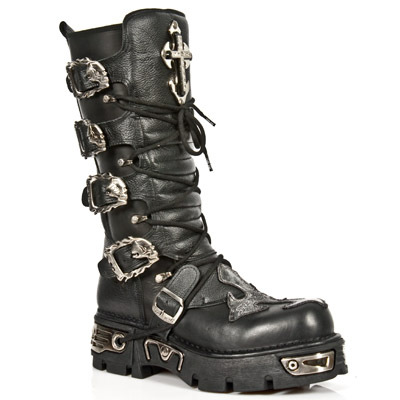 Available for immediate dispatch is EU size 46. 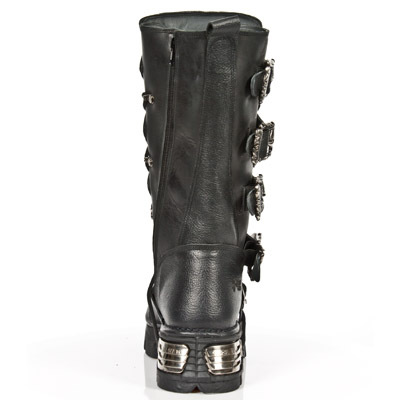 The regular price of these boots was euro 333.95.